A scale model of an X-48C blended-wing aircraft in a NASA wind tunnel in Langley, Virginia. 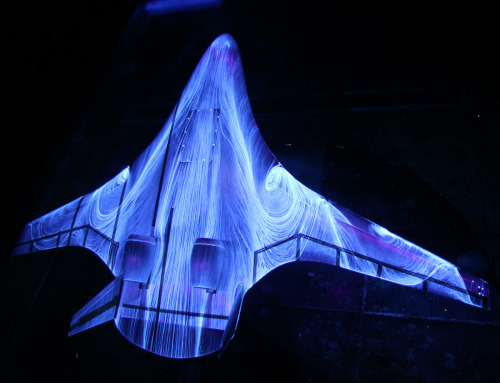 The model has been sprayed with fluorescent oil to enable scientists to study airflow patterns. This entry was posted in Front Page and tagged NASA, Posthorn, Repost, science, tech, Tumblr, x-48c on 30/09/2013 by John.